Let’s see if he really will be able to take benefit of it. Yesterday, yet another PPV WWE Backlash 2016 got over. As of the current scenario, the best of seven of the Cesaro and Sheamus will continue tonight. The show will take place in Baltimore, Maryland and starts at 8 pm ET. It will have a live telecast on the USA Network. Sasha Banks defeated Dana Brooke and Bayley; will face Charlotte at Clash of Champions. The main event for today is the match between Kevin Owens and Roman Reigns. It’s the result of what happened last week. He showed up out of nowhere at the end of the show and challenged Owens. Mick Foley decided and announced that they would have a game on September 12. The result of this match will decide the fate of the upcoming Universal Championship at CoC. If Reigns wins it, then the championship battle at CoC will become a triple threat with Reigns, Owens, and Rollins. But, if he loses, the championship match will remain a regular one-on-one between Owens and Rollins. It is being rumored that Reigns will lose this time as he already has a feud pending against Rusev. Their match was supposed to take place at the WWE Wrestlemania, but there has been no progress on this since then. As per the latest reports, Rusev is on his honeymoon until the end of this month. But going by the most recent developments, it seems that he will be back to defend his title at Clash of Champions 2016. Going by the official poster of the upcoming PPV, it says that every Raw title will have a match. Moreover, Rusev is shown on the poster. Thus, we can predict that Roman Reigns will have a game with Rusev, and it seems logical. On the women front, let’s see how Charlotte reacts to the last week news of Sasha Banks. The Boss had been away due to injury, but she returned last week and declared that she would reclaim her Women’s Championship title at Clash of Champions. We will find out Charlotte’s reaction to it. But, if it is so, then where does the Bayley fit into all this? She should have got the chance for the title opportunity as she defeated Charlotte last week. Also, we can see some feud between Luke Gallows & Karl Anderson and The New Day. Hopefully, this time, it will be without the awful ‘Old Day’ hit. Let’s see if they get involved in a match. There is more to find out Nia Jax and Braun Stroman. What will be Enzo & Cass doing against The Shining Stars as they got defeated last week only? What do you think Darren Young will do tonight? All the questions will be answered as the show starts. 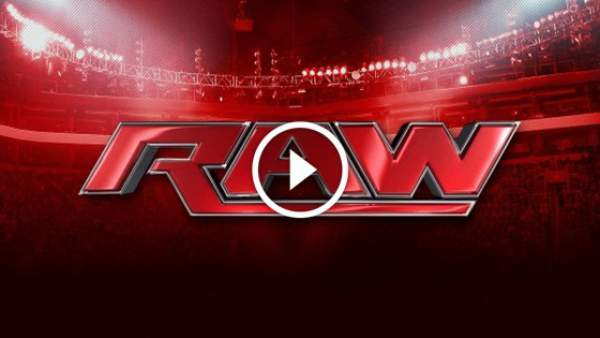 Do come back for all the WWE Raw live match results, full video highlights, and important updates. Stay tuned to The Reporter Times for latest WWE news and updates. Don’t forget to share it on social media sites with other fans. What are your views and thoughts? What do you predict?